On 27 December, Minister of Foreign Affairs Uladzimir Makei held an event with journalists, diplomats and analysts to reflect on a controversial year for Belarus' foreign policy. Though Belarus was tough in the potash war, this conflict exposed the weaknesses of Lukashenka's regime and its dependence on Russia. Belarus still has not resumed shipments of fertilisers at previous levels. At the same time, Russia has relocated several fighter jets in Belarus and is pushing hard for the sale of Belarusian enterprises. The authorities have failed to obtain a considerable sum of money from the European Union in exchange for the release of political prisoners, so the Belarus-EU remain in limbo. Trade between the partners shrunk, and the negotiations on visa liberalisation are still waiting to begin. The authorities made progress in establishing relations with developing countries such as China or Azerbaijan, but the usefulness of these relations remains vague. However, the authorities will try to develop a new vector and diminish its dependence on the West and the East without hesitation. The potash war has become the most controversial event in Belarusian-Russian relations in recent history. The collapse of the Belarusian Potash Company, and subsequent arrest and criminal proceedings against Uralkali's CEO Baumgertner received coverage in most Western specialised media. However, this war does not provide a realistic picture of relations between the countries. This year, with the exception of the conflict surrounding Belaruskali and Uralkali, the Belarusian authorities continued to drift into the arms of the Kremlin. One example of these growing ties was Russian Su-27P fighters being relocated to an airfield in Baranavichy and starting active combat duty on Belarusian soil. Although the officials have criticised Eurasian integration it seems that they are reluctant to oppose it and will deepen their ties until Russia decides to close the gas and oil valves. 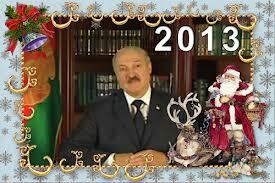 Moreover, Russia continues to support the Belarusian economy and even promises to provide new loans. Through an agreement reached between the parties, Moscow will provide Belarus with oil, but only in the first half of 2014. However, Russia requires implementation of several integration projects and at least the partial sale of the Minsk Automobile Plant, Minsk Wheel Tractor Plant and HrodnaAzot, a Belarusian chemical enterprise. Should Belarus refuse to to do, it is likely that the Kremlin will limit its supply of oil in order to put pressure the Belarusian authorities. Preserving the nation's independence remains the main task of the Belarusian authorities in the relations with the Kremlin, as the political, economic, military dependence of Belarus on Russia this year has further increased. The Russian leadership is looking down at Lukashenka's regime and gradually is achieving the transformation of the Belarusian authorities into their vassals. This year could have become a breakthrough year in relations between Belarus and the EU. Belarusian diplomats held numerous meetings with Western diplomats trying to find an opportunity for dialogue. Minister of Foreign Affairs Uladzimir Makei and his deputy, Elena Kupchyna, have been in Vilnius, Brussels and Paris, while Prime Minister Mikhail Miasnikovich visited Lithuania. The European Union was, for its part, more inclined towards carrying out a dialogue than Belarus was. Western diplomats invited the Belarusian authorities to the Eastern Partnership summit, but Lukashenka’s regime remains reluctant to release political prisoners. Prisoners of conscience remain a stumbling block for mutual relations. Lukashenka`s regime expects a more generous financial offer from the EU, which would help to counterbalance Russian influence. Belarusian trade with the EU countries has decreased compared to the previous year by about a quarter. Over 10 months in 2013 Belarusian exports to the EU shrunk by 42.7%. This is due, in large part, to a reduction in the export of solvents. Readiness to start negotiations on visa liberalisation remains the only positive statement by Belarus. However, the authorities may delay the process. Lukashenka`s regime will use these negotiations to show Belarusian people that it has legitimacy at the international level. Belarusian foreign policy did a great job establishing new connections. Alexander Lukashenka personally visited China, Singapore, Indonesia, the United Arab Emirates, Armenia, Azerbaijan, Kazakhstan, Venezuela, Ukraine. Moreover, many of the leaders of the Third World countries as Bolivia or Vietnam flew to Minsk. Lukashenka's regime reasonably established relations with developing countries, however, these visits have born little fruit. For example, relations with China, raised this year to a level of strategic value, though these new ties work primarily for the benefit of China, not Belarus. For example, Chinese loans are packaged to other deals that benefit China and have led to an increase in external debt. Earlier this year, Hugo Chavez died, sparking fears that crisis awaits Belarusian-Venezuelan relations. In fact, this is precisely what happened. Trade turnover between two countries dropped significantly: in 2012 it was nearly $ 600m, in the first half of 2013 it was only $ 68.9m. Relations with Ukraine remain difficult for both parties. On the one hand, the countries face constantly increasing trade, Lukashenka seemed to support Ukraine's signing of the Agreement of the Association with the European Union. On the other hand, the countries often carry out trade wars against each other with petroleum, milk of alcohol products. Contact with the countries such as Azerbaijan and Indonesia can be important for for Minsk Automobile Plant or Belarus Automobile Plant. However, in and of themselves, they do not make a difference to the overall foreign policy of Belarus. Further developments of the year demonstrated that much of the modernization effort turned into real institutional waste, which, among other things, raised questions about the political prospects of the campaign. Especially, in the face of the 2015 presidential election. The official justification went that the reductions would allow the government to raise salaries for the remaining officials, thus, motivating them to work more efficiently. Besides, the authorities aimed to stop the drain of civil servants into private sector (in Belarus and Russia) by improving their work conditions.